UBS, the financial services company headquartered in Switzerland, has downgraded Boston Beer Company to ‘sell’ from ‘neutral. The 19-page report cites slowing topline growth and an absence of new product innovation as the main considerations behind the new rating. UBS reports that 70 percent of Boston Beer’s recent growth has come from its Twisted Tea line and seasonal craft beer program. 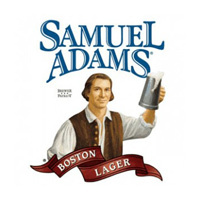 But UBS believes that slowing distribution gains for Twisted Tea and the lack of new seasonal offerings in the Samuel Adams portfolio will slow the current YTD trajectory. Production has swelled over the past few years from just 90,000 barrels in 2007 to 375,000 in 2011. That’s a compounded annual growth rate (CAGR) of 43 percent. But according to Nielsen data for the last four weeks, Twisted Tea volumes have slowed to just 17 percent compared to 32 percent YA. Seasonals grew 30 percent for BBC in 2011 and 21 percent in the first quarter of 2012. That growth was driven largely by the introduction of Alpine Spring. UBS believes that the remaining 2012 seasonal offerings – all unchanged for 15-plus years – won’t generate the kind of growth Alpine Spring did in Q1.